The New York City Marathon is an annual marathon running event that takes place in New York City, United States. The race is conducted on the first Sunday of November every year. It is one of the six World Marathon Majors and is also an IAAF Gold Label marathon. 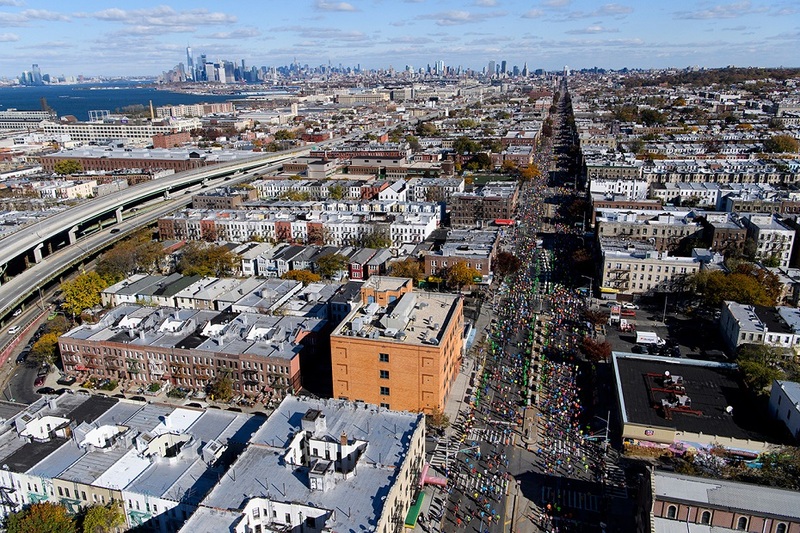 The course that runs through five boroughs of New York City, starting at Staten Island and ending in Manhattan, was founded in 1970 by Fred Lebow. The race has since been held every year except 2012 due effects of Hurricane Sandy. It is the largest marathon race in the world with over 35K finishers every year and a record of 50,304 finishers in 2013. The current course record of 2:05:06 was set by Geoffrey Kiprono Mutai of Kenya in 2011. Margaret Okayo also of Kenya holds the current course record for women at 2:22:31 set at 2003, which was the second time she won the race. Bill Rodgers has won the race four times and Grete Waitz of Norway has won the race for a record nine times which includes winning the event five straight times from 1982 to 1986. In 2005, Paul Tergat of Kenya won the race by a one second margin which is the closest race on the course. The TCS New York City Marathon is more than a one-day event. It’s a weeklong celebration of New York, runners, and their families, friends, and fans. Be a part of the 2017 TCS New York City Marathon, whether you plan to run, volunteer, or cheer along the course. There will be a lot going on throughout race week. The 2017 TCS New York City Marathon Expo Presented by New Balance will take place at the Jacob K. Javits Convention Center, Hall 3E. The TCS New York City Marathon Expo Presented by New Balance is the largest running exhibition in the country, and one of the top 10 health and fitness expos in the world. New York Road Runners invites your company to become a part of the excitement leading up to the world’s largest marathon on Sunday, November 5.